I love trying and collecting new recipes. Just found your website looking forward to learning new things. Hi! I just happened across your website while on Feedblitz. Your site seems really interesting and up my alley. I am a single mom of two children. I am busy with school, work, and running my household. I am so thankful that you have a resource for moms like me who don’t have the time to slave away in the kitchen. I am looking forward to checking out your site even more. I will be bookmarking your site to keep coming back! Anxious to try these ideas and recipes. Anxious to try these ideas. Looking forward to cooking economically. Looking forward to inexpensive meals. Love the recipes and the site!! Received the first cookbook for Christmas but would love to have the Breakfast/Lunch book too! 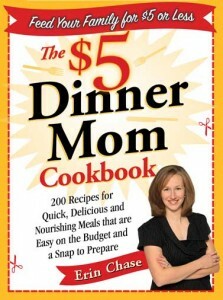 I already have your $5 Dinner Mom Cookbook. Looking forward the emails and recipes! Can hardly wait to try your recipes! looking forward to the savings on feeding the family!! thank you! This site sounds and looks interesting,willing always to explore and also learn, and if i can add my contributions it would also be a plus. I am so excited about following this blog! Excited to start getting the weekly menus! HUGE time and money saver! Thank you! 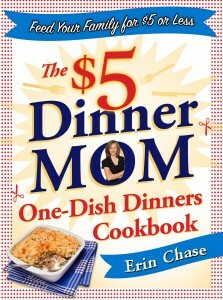 The one dish cookbook would be awesome! Would love the one about cutting the food budget. Love the idea of cooking economically. 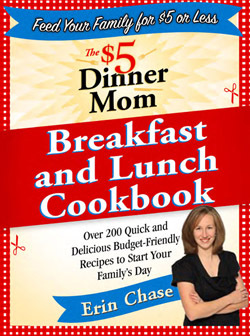 I just found your site and with 4 on my family we can always use good meals on a budget. I am going to look into your cookbook. Subsequent, you’ll have to wait for an application being approved you aren’t. bad credit loans in the market ! i’m going to try this 5 a day meals. we will see if my picky family will eat it. I discovered you first book a couple of years ago and I have loved it every since. It is my favorite and go to recipe book. I love the simplicity, but detail of cost and tips associated with individual recipes. I just bought your one dish dinners on my Nook. I have to admit I do love the paper book better but I’m trying to watch my expenses and opted for the cheaper ebook version. Please keep coming out with cookbooks the breakfast and lunch one is on my list next.